We carry many essential music accessories, books and percussion products for the beginning to the performing musician. Cases, Strings, Stands, Picks, Straps, Slides, Capos, Tuners, Metronomes, Reeds, Mouthpieces, Violin Rosin, Harmonica Holders, Footrests, Parts and Tools and More! 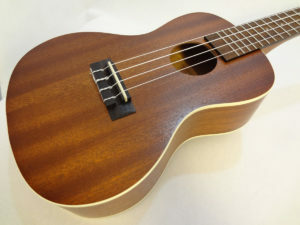 Mel Bay, Hal Leonard, Centerstream, Homespun, Alfred, Uncle Tim’s Guitar Books, Ludiker Fiddle Books, Oak Publications, Roy Sakuma, Aaron Keim Uke, Ukalalien Uke, Jumpin’ Jim’s, National Guitar Workshop Books, Kani Ka’Pila Uke Charts and More! Effects Pedals, Interfaces, Mixers, Loudspeakers, Microphones, Pickups, Keyboards and More! Ethnic Drums, Hand Percussion, Djembes, Congas, Bongos, Bodhrans, Tambourines, Drum Kit Hardware & Replacement parts, Drum Heads, Drum Sticks and more! Harmonicas, Melodicas, Recorders, Tin Whistles, Autoharps and more!